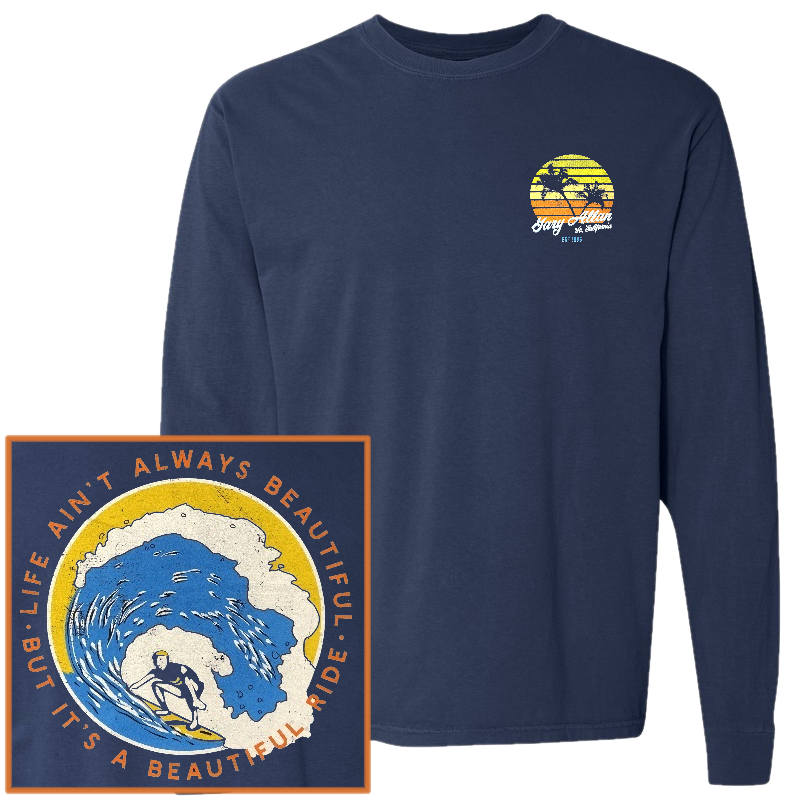 Gary Allan unisex 6.1 oz., pre-shrunk 100% ringspun cotton, soft washed garment dyed fabric true navy tee by Comfort Colors. Gary Allan retro So. 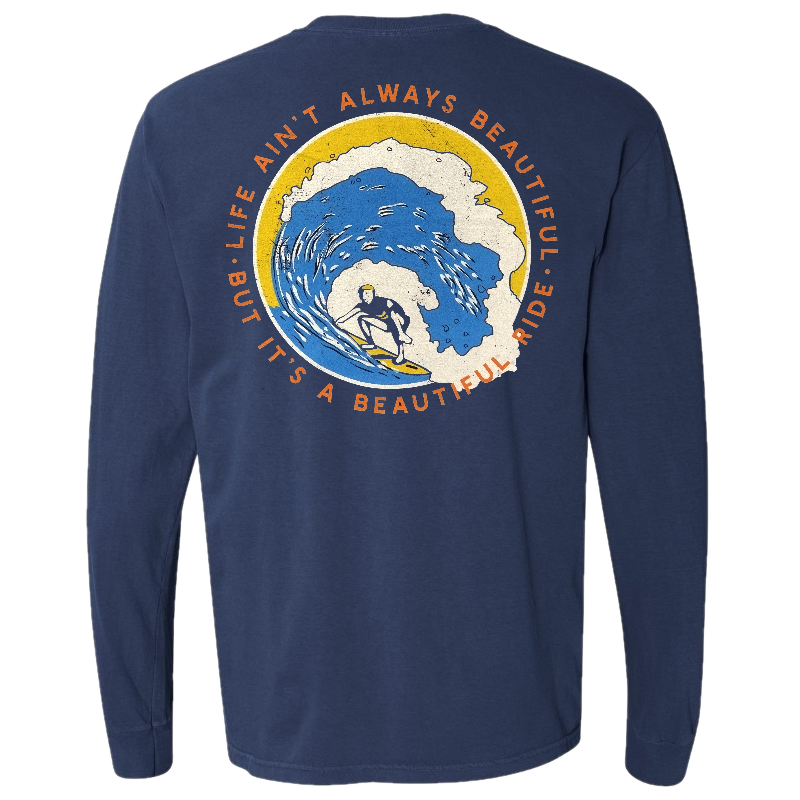 California Est 1996 design on the front left chest and Life Ain't Always Beautiful But It's A Beautiful Ride surfer design on the back.